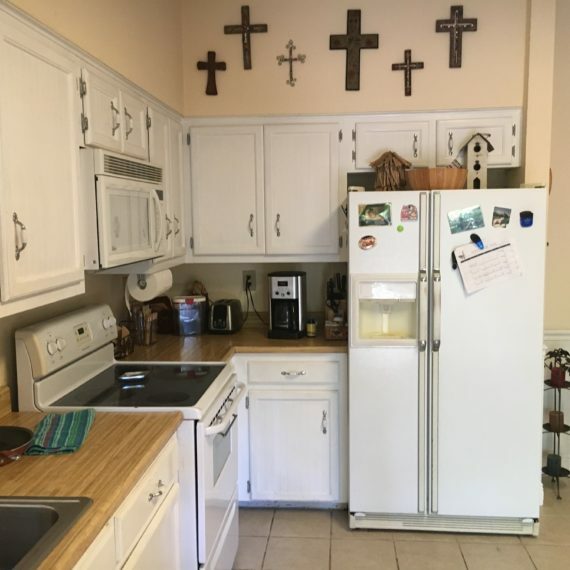 With this home, we got an opportunity to showcase that a San Antonio Kitchen Renovation didn’t have to involve an overly large kitchen with a gigantic budget. 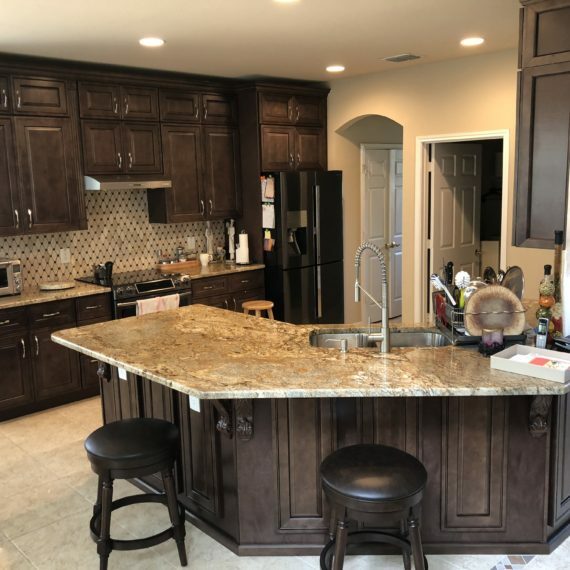 This home in Balcones Heights Kitchen Remodeling Project brought some unique opportunities and challenges. 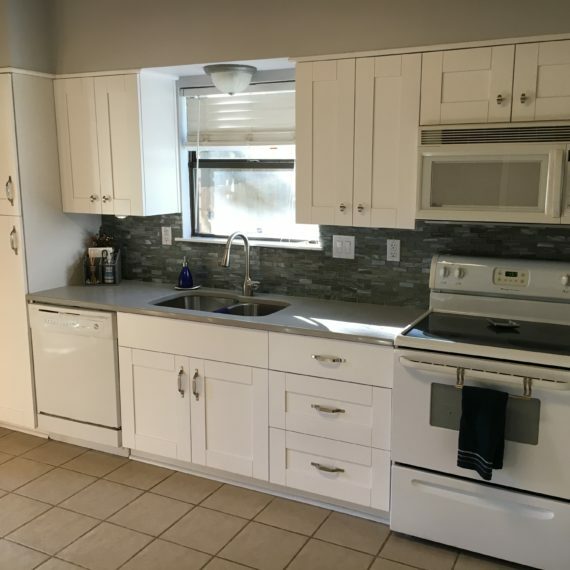 The home had a relatively small kitchen space that the owners wanted to upgrade and improve upon, but without spending lavishly to make it happen. 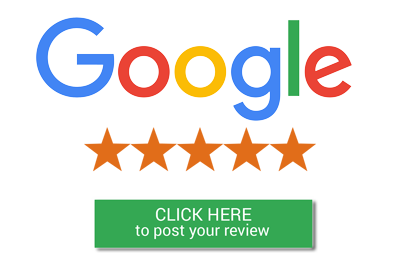 We invited the homeowners into the showroom to go through options and styles that they preferred, settled on a color scheme that they liked using our kitchen visualizer, and then went out for an estimate and measurement. 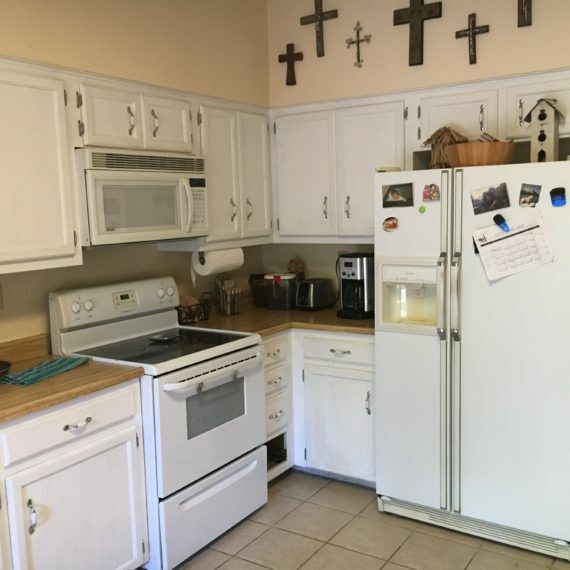 Once we had all the specifics, we adjusted our plan to fit their budget accordingly and then got to work to make their dream kitchen a reality. 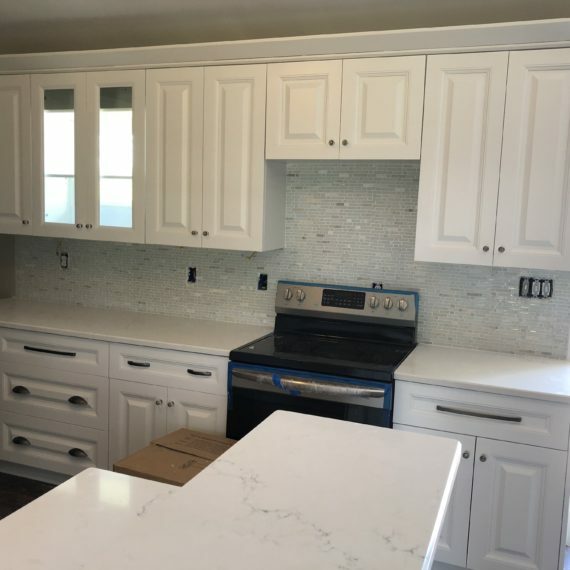 After demolition and removal of the old kitchen cabinets and countertops, we installed beautiful, classic white frameless cabinets that gave a more modern, chic appearance to the kitchen. 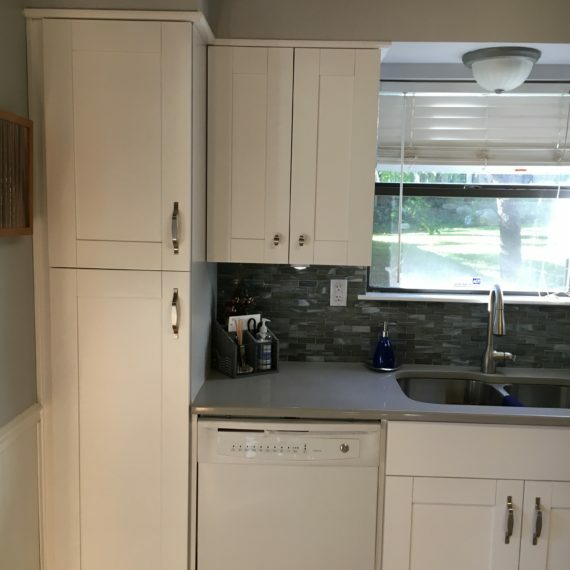 Next, we installed a contrasting gray quartz countertop to offset the white in the cabinets. 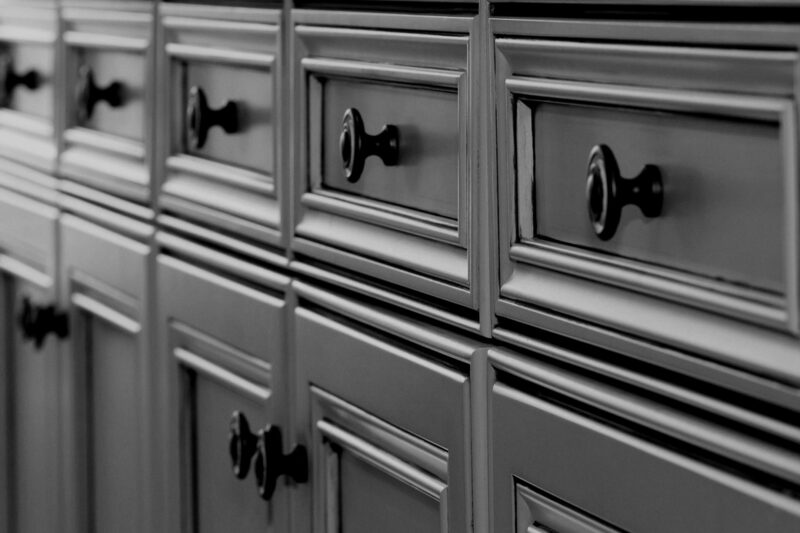 Then, we set out to rework the plumbing and electrical systems to ensure that everything functioned correctly. 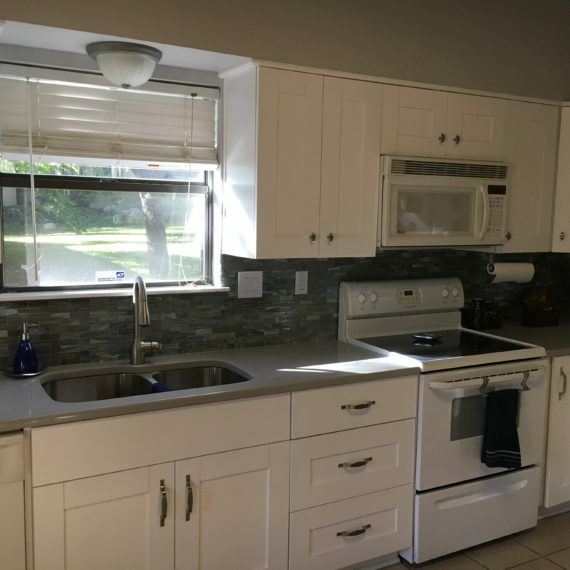 Once we’d finished that, we installed a new, wideset sink that gives the homeowners much more room, and set about adding a silvery-gray back splash tile on the wall to give the color combination an extra layer of pop. 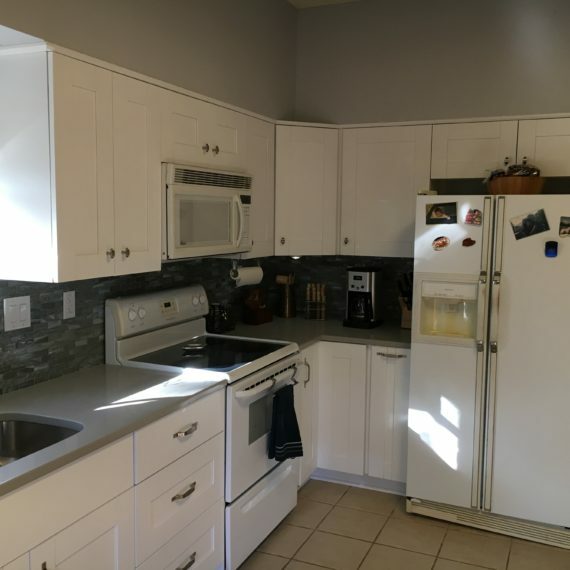 Once it was all finished, we’d managed to take a relatively small kitchen space and totally revitalize its appearance with some very simple upgrades and updates. 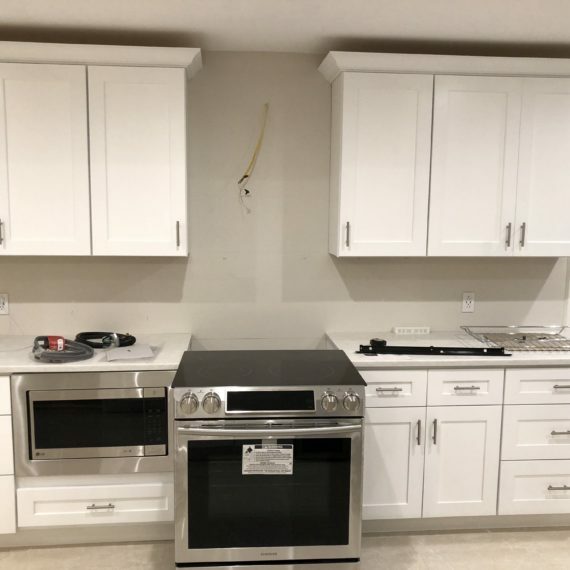 The client absolutely loves their new kitchen, and the color scheme really helps pull the room together with a sleek, modern style. 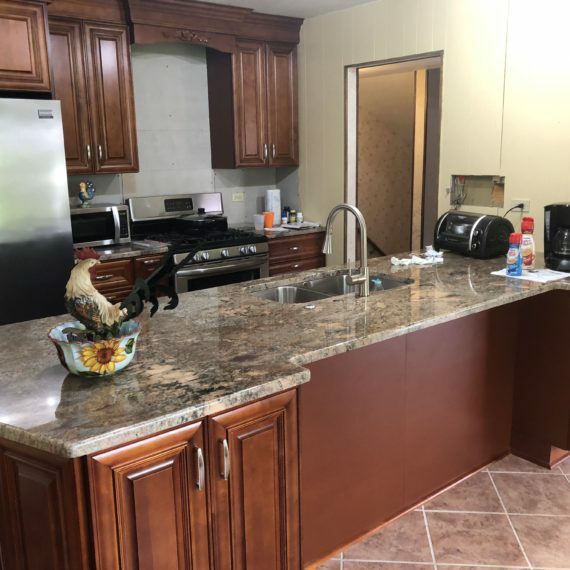 This Balcones Heights Kitchen Remodeling Project really gave us an opportunity to showcase what can be done in a small space and on a less-than-lavish budget. 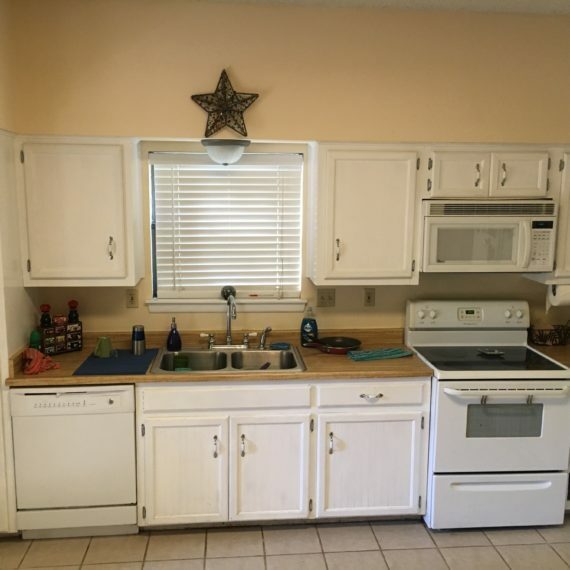 Overall, we’re thrilled to have helped make this family’s dream kitchen a reality.